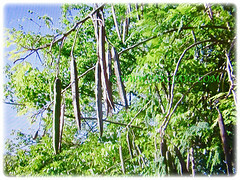 Drumstick Tree or Horseradish Tree is popularly grown for its bean-like pods and are cooked as veggie. 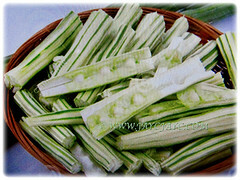 Besides, these edible green, three-angled, long and slender fruits of Drumstick Tree are especially used in Indian cuisine. Botanical Name: Moringa oleifera (syn. 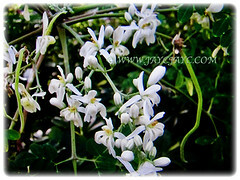 : Moringa pterygosperma, Guilandina moringa). Common Names: Drumstick Tree, Horseradish Tree, Ben Oil Tree. 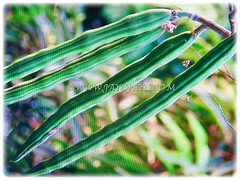 Etymology: The genus Moringa is derived from a Tamil word murungai, meaning twisted pod, alluding to its young fruit. The specific epithet oleifera means oil-bearing. Origin: Native to North India. Features: Moringa oleifera is from the genus Moringa that comprises of 13 species. A moderate to fast-growing, much-branched and crooked tree that can reach 10-12 m tall with a woody trunk diameter of 45 cm. The bark has a whitish-grey colour and is surrounded by thick cork. It has tuberous roots. Young shoots have purplish or greenish-white, hairy bark. The tree has an open crown of drooping, fragile branches and fern-like foliage. Young shoots are purplish or greenish white. Leaves are green and 2 to 3 pinnate, with up to 6 pairs of pinnae. Leaflets are obovate in shape. Although deciduous, tree seldom shed all its leaves. A free-flowering tree with bisexual and fragrant flowers that are borne on an erect or spreading panicle. They are surrounded by five unequal, thinly veined and yellowish-white petals. Flowers are about 1.0-1.5 cm long and 2.0 cm broad. They grow on slender and hairy stalks in spreading or drooping flower clusters which have a length of 10-25 cm. Fruit is a hanging, three-angled, long and slender capsule of 20-45 cm size. It contains 1 cm globular seeds that are green when young and turning dark brown when mature. The seeds have three whitish papery wings and are dispersed by wind and water. 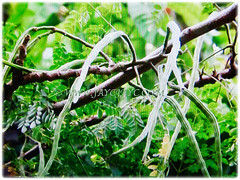 Culture (Care): Moringa oleifera or Drumstick Tree can be grown easily with least maintenance. Soil: Fertile, slightly acidic, loamy and well-drained soils. Others: Prune regularly to promote regrowth and keep its shape in check. In cultivation, it is often cut back annually to 1-2 m and allowed to regrow so that the leaves remain within arm’s reach. Once monthly, feed the plant with slow-release granular fertiliser to stimulate growth and fruit production. Generally free from serious pests and diseases. 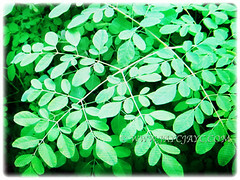 Moringa oleifera or Drumstick Tree is grown mainly in semi-arid, tropical and subtropical areas. This tree does not tolerate freezing or frost. Flowering begins within the first six months after planting. In seasonally cool regions, flowering only occurs once a year between April and June. In more constant seasonal temperatures and with constant rainfall, flowering can happen twice or even all year-round. Propagation: Easily propagated from seeds. Alternatively by stem cuttings of 1 m length and at least 4 cm diameter. 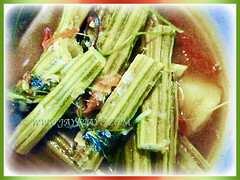 Usage: Moringa oleifera or Drumstick Tree is widely cultivated in tropical and subtropical areas where its young seed pods and leaves are used as vegetables. Immature green pods are edible and often used in curries. They are eaten by sucking out their internal contents and the tough valves are discarded. Seeds inside mature pods can be eaten like peas or roasted like nuts. Flowers are also edible when cooked. 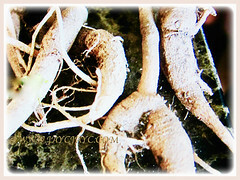 Roots are shredded and used as a condiment like horseradish. 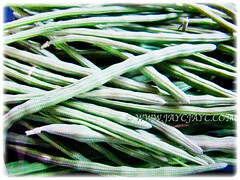 Its highly nutritious leaves are cooked and used like spinach and can also be dried and crushed into a powder that is used in soups and sauces. 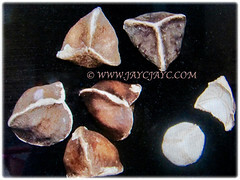 Seed are also pounded and used to purify dirty or cloudy drinking water. Mature seeds contain about 25% oil that does not turn rancid and are used for cooking, lubrication and perfumery purposes. This beauty can be planted as a hedge for the provision of wind protection, shade and support for climbing garden plants.